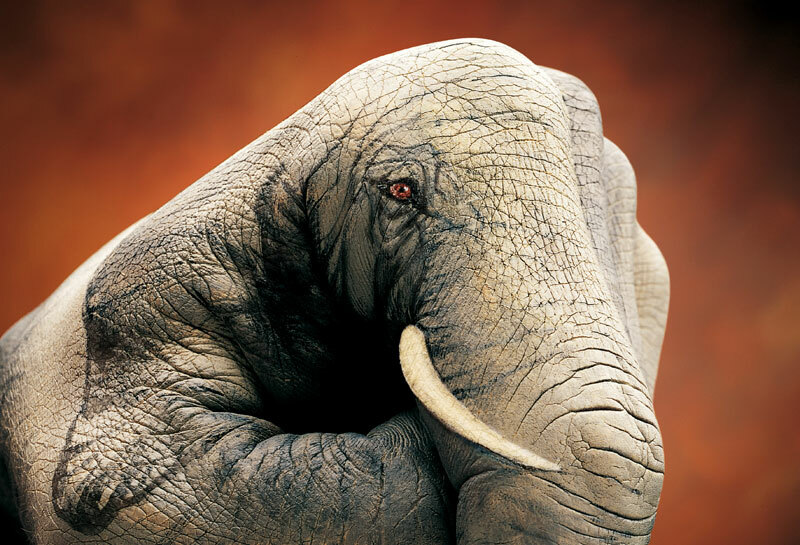 Guido Daniele is an award-winning artist from Soverato, Italy. 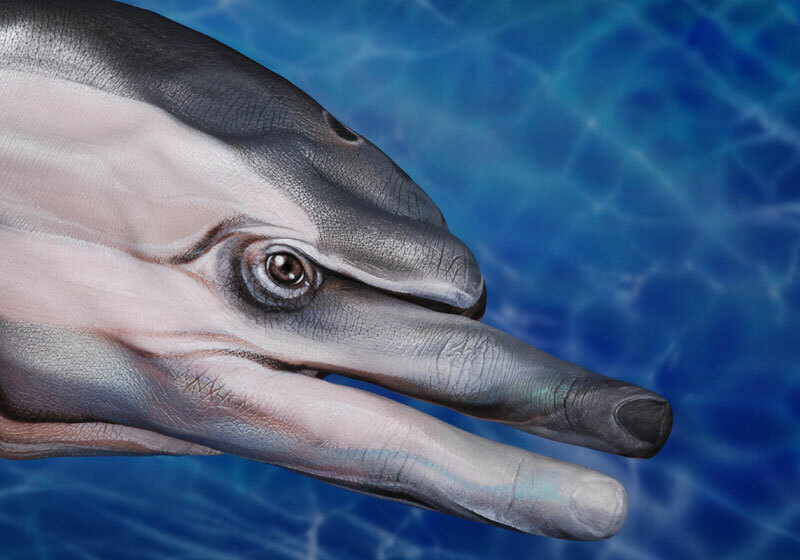 In 1990 he began to explore and experiment with body and hand painting. 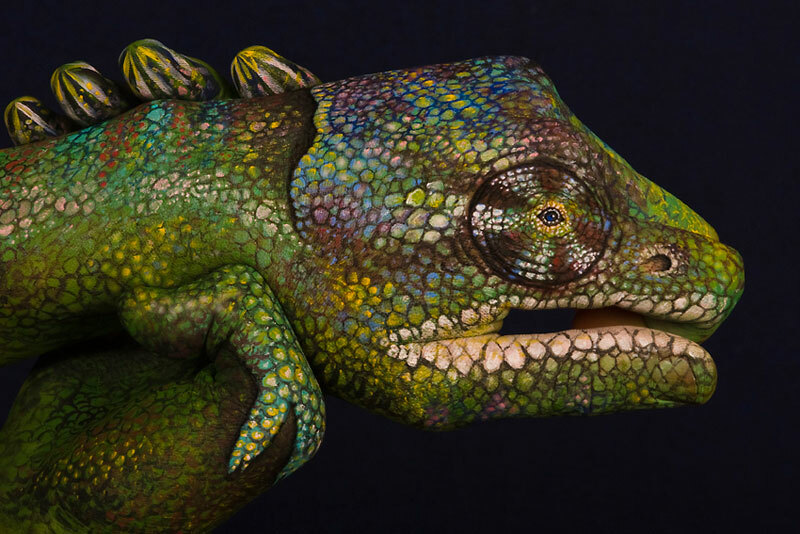 By having his models contort their body into specific positions, he could use his painting skills to create incredibly realistic portraits and scenes onto a living canvas. 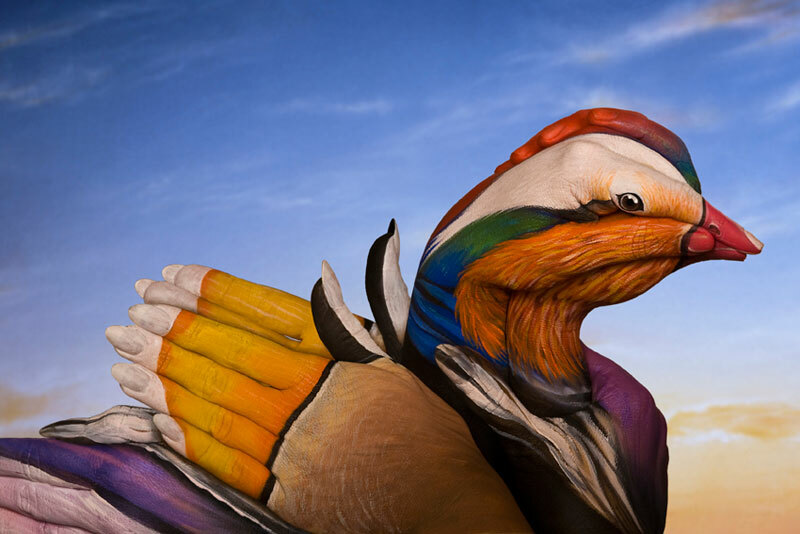 The inclusion of the human body added a new element to his work and Guido would continue to explore this new direction. 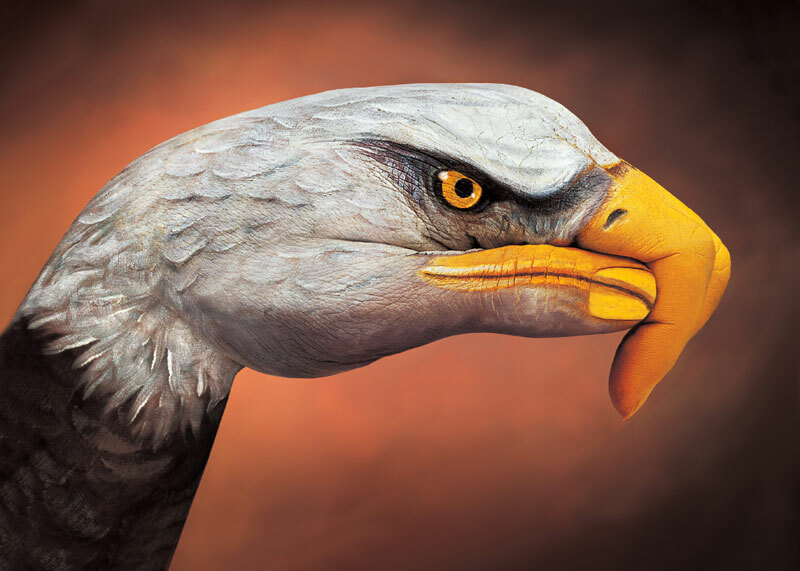 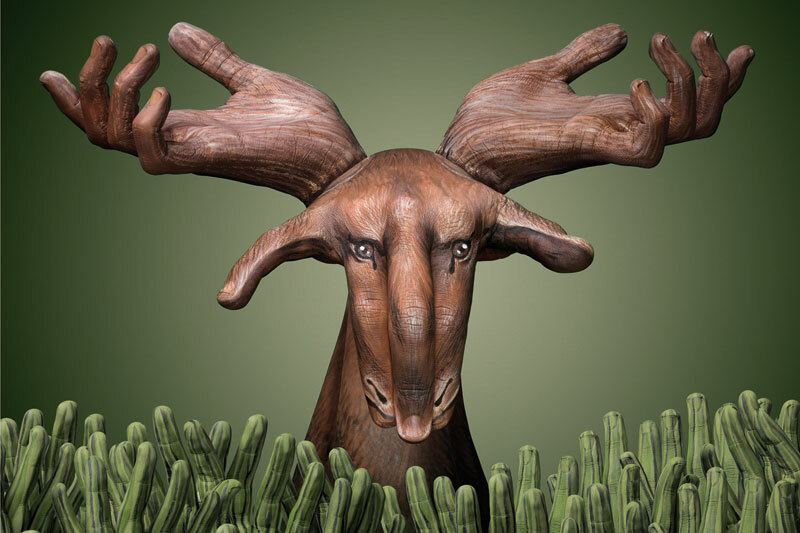 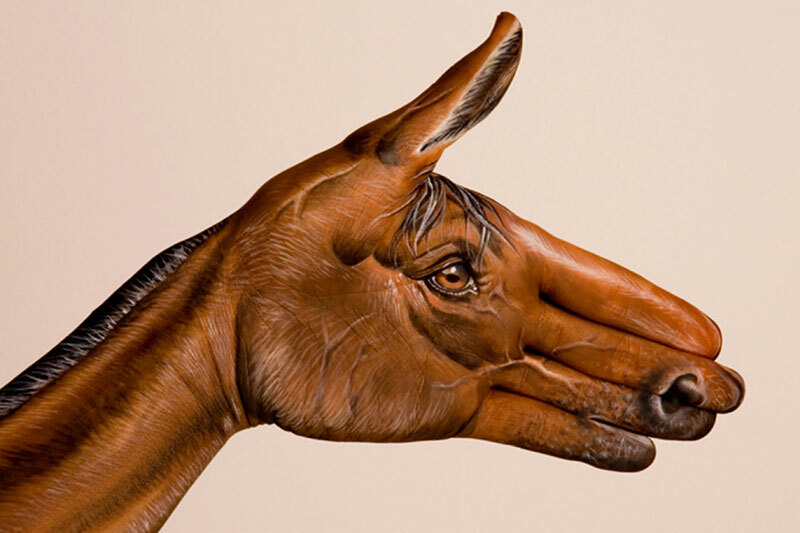 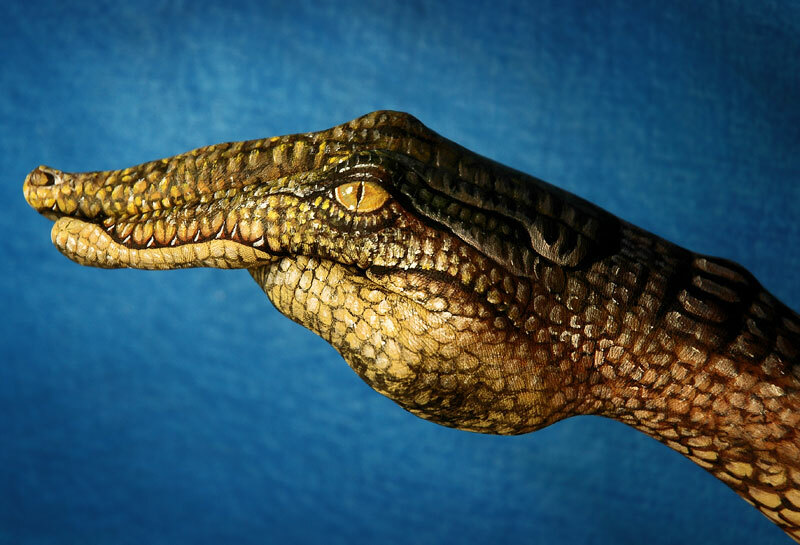 In 2000 he created his world-renowned “Handimals” series that saw him paint highly detailed and realistic animals onto hands in various positions. 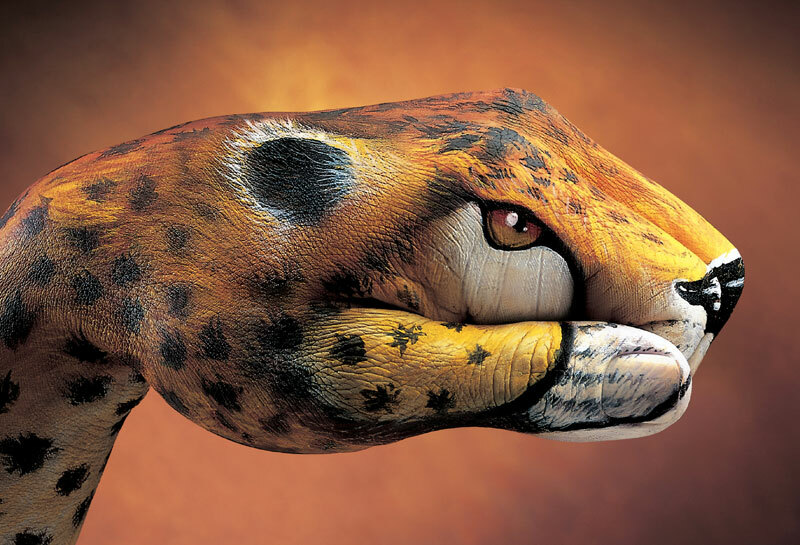 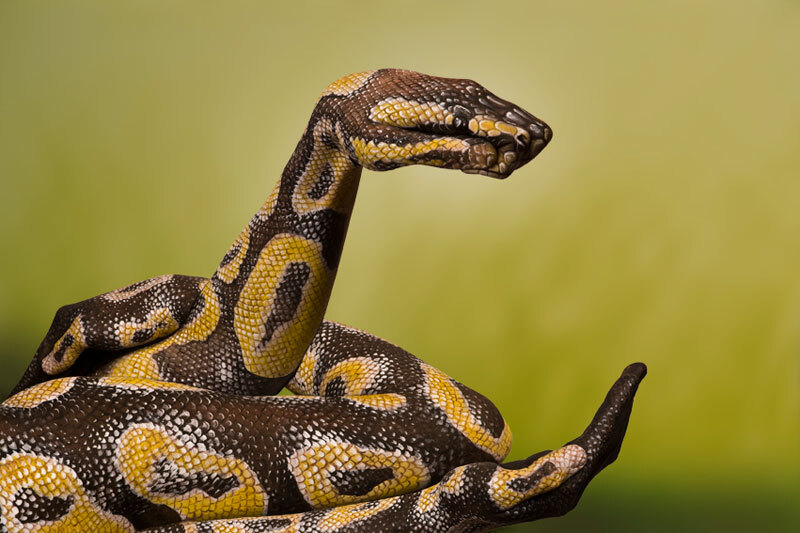 Through manipulation and creativity, Guido masterfully takes the same starting ‘canvas’ and is able to transform it into seemingly any animal he desires. 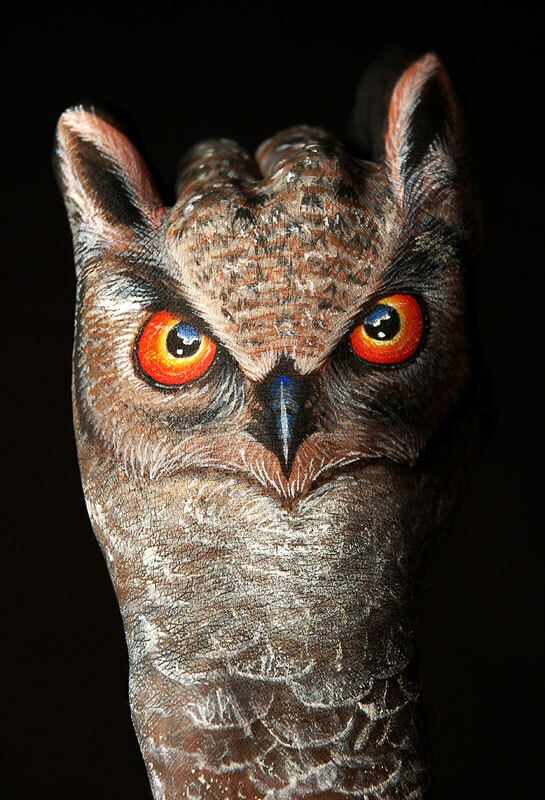 The outcomes are truly amazing.